Our very own Sensei Bob Allen has been recognised as a Midland local legend! His name permanently commemorated on a brick in Cale Street Midland. With over 240 entries Sensei made the top 100! 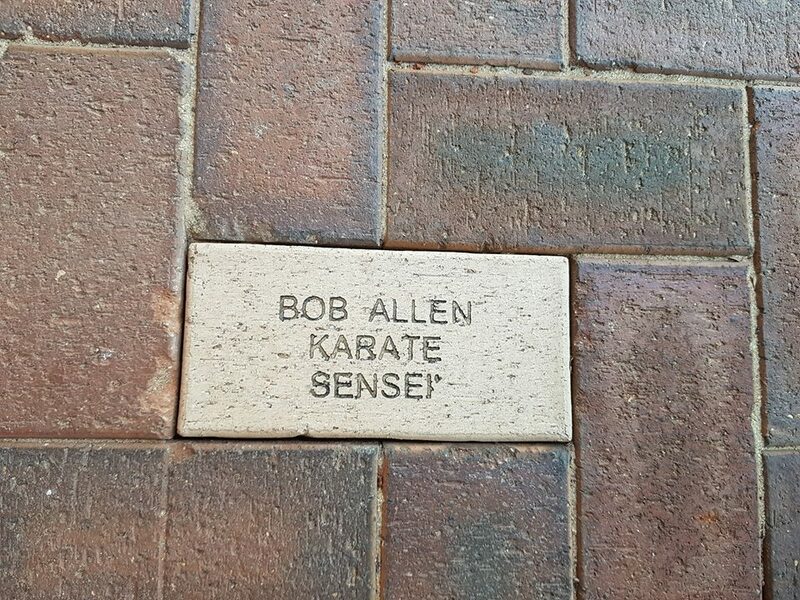 Sensei Bob Allen has been a prominent figure in the local area for decades. He started his martial arts training in Ju Jitsu in 1963 at the Midland PCYC and later trained in Goju Ryu in Midland. Sensei Bob opened the Swan View Dojo in June 1984 starting off in the old small hall with one lesson per week and later moving to the main Brown Park recreation complex as numbers grew. In the Dojo’s current location in Midland, Sensei Bob is known as a community mentor and friend to everyone he works with.